Animal shelters in the D.C. area hoped to attract potential pet owners with a one-day "name-your-adoption-fee" promotion, and it appears to have worked. See photos. 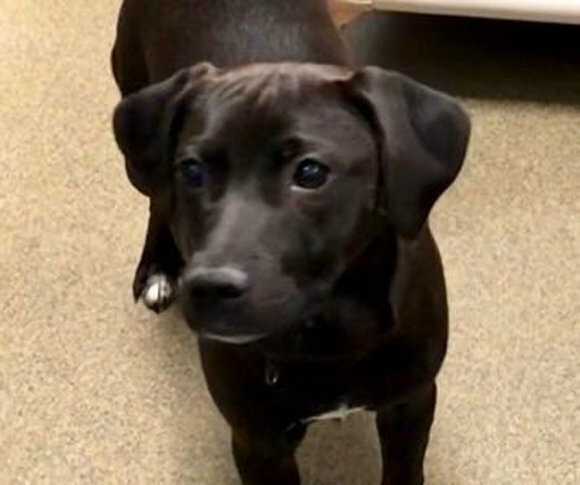 ARLINGTON, Va. — Animal shelters in the D.C. area hoped to attract potential pet owners with a one-day “name-your-adoption-fee” promotion, and it appears to have worked. Chelsea Jones, who handles community outreach for AWLA, explained that the name came from a 7-year-old boy from New Zealand who dreamed it up for a new holiday on which every dog — and other animals — would be adopted by people who love them. Casey Suarez was among those lining up at the Arlington shelter to bring home a furry friend. She already had a pet on leash with her. She explained she was bringing Jasper, a former foster pup, in for a “meet and greet” with his potential new BFF. “We decided we wanted to get him a friend, someone we can go on walks with, that kind of thing,” Suarez said. So, they looked around and found Kirk, one of a litter of puppies named for “Star Trek” characters. When it came time for Jasper to meet Kirk, Suarez said, Jasper was hesitant at first, but Kirk had good manners. “She was very chill,” and that won Jasper — and the Suarez family — over. So now, Kirk will boldly go where all puppies hope to go — to a new forever home with a built-in best buddy. At the Humane Rescue Alliance in D.C., a lot of pets were also going home for the holidays. The HRA opened its doors at noon, and 20 pets had already been adopted before 4 p.m.
Staff members there said it’s hard to say just exactly how many of those adoptions were generated by the promotion, but the result is the same: Animals are getting the homes they’ve been waiting for.